Search Results for "school boy"
ELLA, SRI LANKA - MARCH 2014: Portrait of local school boy in the foothills of Ella, a beautiful small sleepy town on the southern edge of Sri Lanka's Hill Country. KANDY, SRI LANKA - FEBRUARY 2014: Two school boys eating pink ice-cream in the streets of Kandy. 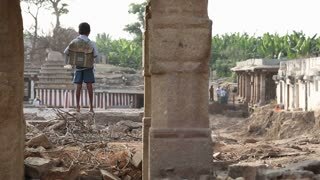 HAMPI, INDIA - 28 JANUARY 2015: School boy standing on the ruins of temple in Hampi.